I loved this show. Sad it got cancelled. Very surprising. With good group of actors and actresses. I would understand if Gary Sinise isn’t coming back because of his schedule doing volunteer work for his foundation helping veterans. Was not aware this show was cancelled until I saw one of the show’s actors playing a new full-time role on Criminal Minds. I’m sad the show was canceled. Although the show was probably a bit surreal in its interpretation of how the real IRT operates, the leadership role played by Gary Sinese was credible and fun to watch. I think the show was at least as entertaining as Criminal Minds and better than Scorpion for example. You should have given it more time to catch on. am so sorry it is gone. 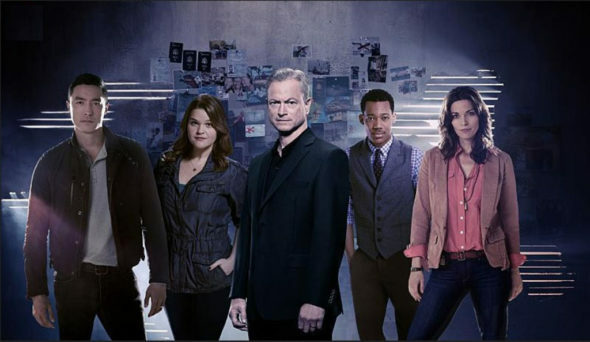 Loved the show and I watch all the criminal shows such as criminal minds, law and order, and criminal minds beyond borders. this show was just as good. Bring it back! Loved this show! I am sad to hear this show was cancelled. I enjoyed watching this show and seeing the different areas they traveled to. Please bring Beyond Borders back! It had a great cast and story line. My husband and I live this show we r sad it will not be doing a third season. We were also sad when they ended CSI NEW YORK we don’t understand why they take these good programs off and put the stupid reality shows about whom ever I really don’t care what other people do in a daily basis these are taking up too much air time we need to get back to good shows like the ones I named to begin with. I think that Beyond Borders was a good show. It appears that unless it’s a reality show it doesn’t make it on tv not everyone is in the 18-49 age group. The older people enjoy good old fashioned tv shows. Please reconsider bringing it back. Please bring back this show. Very interesting and I love Gary Sinise and the entire cast. Very poor decision to cancel. Shame on CBS!! This show deserves another season. It is such a great show. Bring it back, please. I love this show, but figured with the final show it wasn’t due for renewal. I think they made a mistake on this one. It was a Keeper. im still hoping some channel picks this up .Great show and cast of actors as well as characters .The show was always intriguing and exciting !!! I loved Criminal Minds: Beyond Borders. I knew when I saw the finally it was done. I am glad that they did not leave you hanging at the end. Wish is was coming back for Season 3.